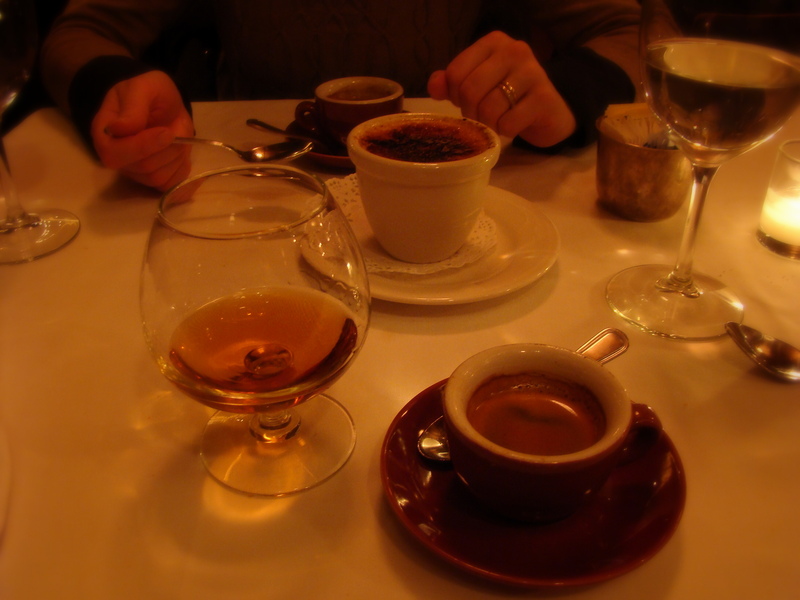 Restaurant Keens Steakhouse, New York 2011 | Tu vuo' fa' l'americano! Se avete voglia di una bistecca ristorante consigliato! Anthony Bourdain was right. Keens steakhouse in New York is THE restaurant to visit! It has such a good food and history of the restaurant is so interesting. Keens staekhouse was established 1885. Something about the history tells the world’s largest churchwarden pipe collection. Worth to see! We were lucky that we got a table without reservation. We were seated in the upstairs next to large groups. The food speaks for itself. Only fresh green food during the dinner was carrot and celery that was served as a complimentary starter. 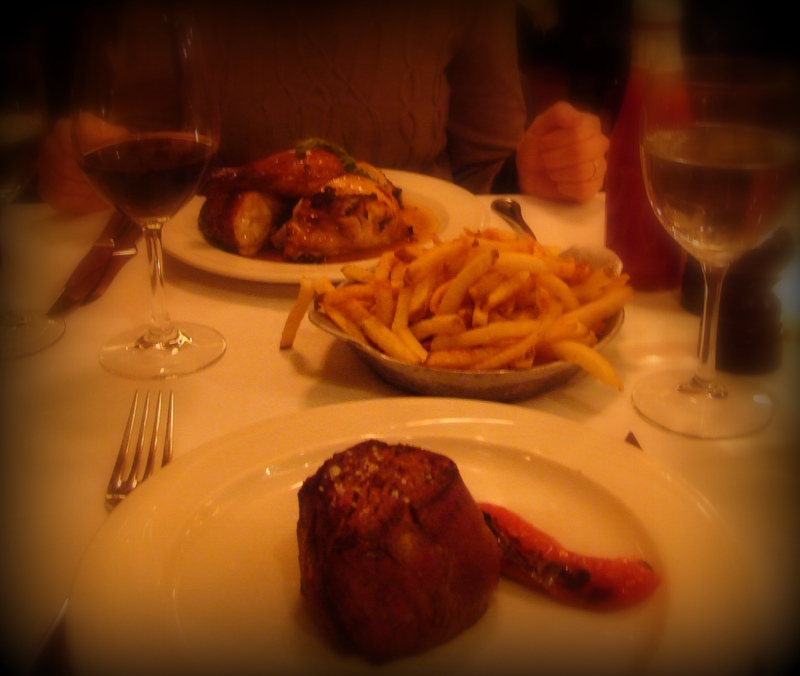 Roasted Buttermilk Chicken and Prime Filet Mignon were meat with capital M. And served with French Fries. In this restaurant they don’t put an effort to beauty of the portions. They don’t have to. Quality and taste speaks for itself. As a dessert Creme Brulee. Soooooo good!